Great news! I just came across the infomation that the DayZ Standalone devs have finally released the server files for the game. Which means, we can finally set our server back up, and get the place going again!  We had to shut down because the DayZ Mod became so broken, and the launchers stopped working properly. I’m currently looking at server packages. This info is new to me, and there arent many mods out for the game, but im sure we can get things set up nicely. Previous Story We’re back! New NAME!